The connection between filmmaking and photography is complex. Recently we’ve taken note of another connection between stills and motion: Photographers, it seems, make excellent subjects for documentary filmmakers. Over the past couple of weeks, Motion Arts Pro has featured a series of video profiles of photographers, plus an interesting virtual-reality experiment about an unknown photographer in World War I that was featured at this year’s Sundance Film Festival. Today we bring them all together at Pro Photo Daily. 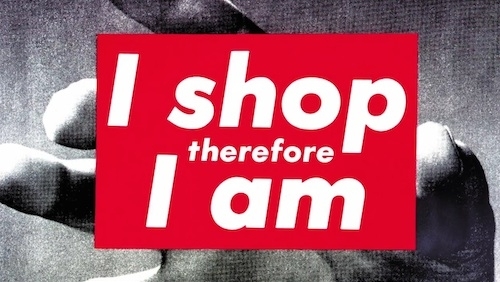 The subjects range from artist Barbara Kruger and Magnum great Dennis Stock to Elias Weiss Friedman, aka the Dogist, and Toronto-based street photographer Zun Lee. Why do photographers and visual artists like these make compelling subjects for films? They see things that other people don’t. And, on a more practical level, they bring their own remarkable visuals with them. “I never really thought I could be an artist, in the art-world sense of it,” says the subject of the short film Picturing Barbara Kruger. (Go to Vimeo to see the video.) Directed by Pippa Bianco, this five-and-a-half-minute profile was commissioned by the Los Angeles County Museum of Art and features an original score by Nico Jaar featuring Kanye West’s "Blood On The Leaves.” But the music is upstaged by the voice of the artist, who takes us inside her creative process and talks about how her work as a magazine designer gave birth to her iconic images combining photographs and text. “I work with pictures and words because I think they have the ability to tell us and remind us where we come from and where we are going,” she says. Last year, Brooklyn-based filmmaker Bas Berkhout created a fascinating documentary short about photographer Jessica Lehrman, who was also the subject of an AI-AP Profile. Recently, Berkhout completed an eight-minute video focusing on Zun Lee, a Toronto-based physician who turned to photography as a way to deal with work-related stress. Lee has gained notoriety for projects such as “Father Figure,” inspired by his own search for identity. In it, Lee challenges stereotypes of deadbeat black fathers by showing what the New York Times calls “an everyday, ordinary love between children and fathers.” Another project, called “Fade Resistance,” explores African-American lives through the prism of vernacular Polaroid snapshots dating back to the 1970s. Berkhout captures Lee’s curiosity and understanding. 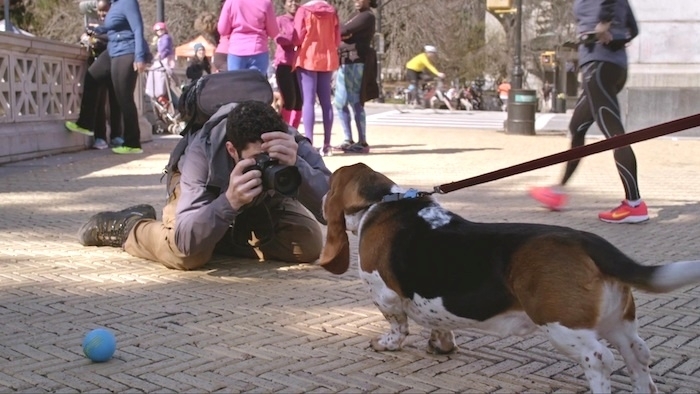 Elias Weiss Friedman, aka the Dogist, has amassed 1.8 million followers since launching his Instagram feed in 2013. His book earned him even wider attention. He recently also became the subject of a motion profile from New York City-based filmmaker E.J. McLeavey-Fisher. “There’s nothing really crazy about it,” says Friedman of his work. “I just walk around and say, ‘May I take a photo of your dog?’” As we noted at Motion Arts Pro, McLeavey-Fisher captures the professionalism (and tricks of the trade) the Dogist uses to photograph dogs and paints a portrait of a man who barked up the right tree to find his life’s work. Dennis Stock - My Friend, James Dean from The Photography Channel on Vimeo. While photographers make compelling non-fiction motion subjects, their work is very often misapprehended in fictional narrative films. Such was the case, says filmmaker David Snider, in the 2015 movie Life, which focused on the relationship between actor James Dean (played by Dane DeHaan) and Magnum photographer Dennis Stock (Robert Pattinson) and the iconic images they made together in 1955. Though the film was directed by photographer-turned-director Anton Corbijn, it didn’t get the story right, says Snider. Writing in the New York Times recently, he noted that although the movie “had that mid-50s look and feel, its creators invented a story about a reluctant actor and an annoying, persistent, acerbic photographer.” Snider, who has been creating film documentaries about photographers for many years, got the real story from the photographer himself in a video called The Articulate Image. The Unknown Photographer (Trailer) from NFB/marketing on Vimeo. In 1974, an album containing 269 photographs taken during World War I was discovered in an abandoned house in Morin-Heights, Quebec, Canada. The story of the album’s owner, Fletcher Wade Moses, remains a mystery — one that is explored in The Unknown Photographer, an immersive virtual-reality film that premiered at the 2016 Sundance Film Festival’s New Frontier section. Here, you see the trailer for the project. Filmmaker magazine recently talked with Montreal-based “experience designer” Loic Suty about how he developed the project, which started as a short documentary.